Are you a small business owner looking to build meaningful relationships with Small Business Professionals? Are you trying to more effectively market to federal buyers? 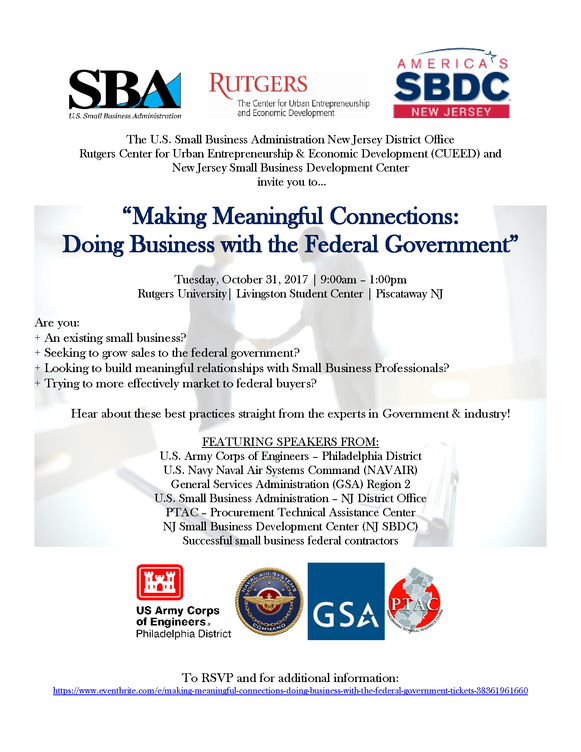 Then Making Meaningful Connections: Doing Business with the Federal Government might be the program you need to help position your company for future growth.